After jumping from #9* to #5*, P!nk‘s “Secrets” has secured the #1* position on this week’s Billboard Dance Club Songs chart. The Max Martin-produced cut is her second chart-topping single of the year, following in the dance floor footsteps of “Beautiful Trauma;” both of which appear on the same album. 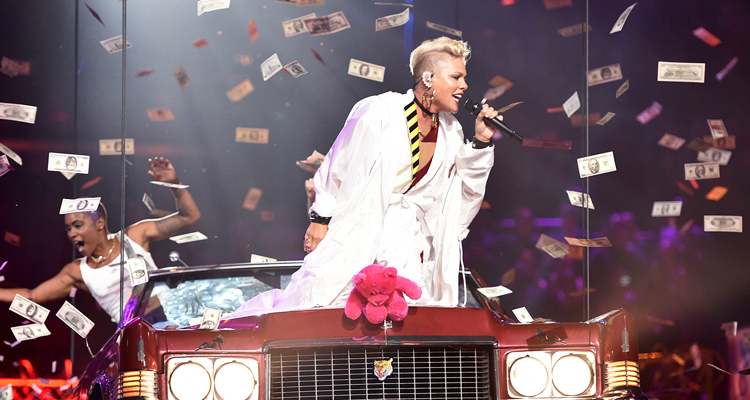 Originally a member of the girl group Choice in 1995, P!nk (born Alecia Beth Moore), asks some of the most universal questions in here current single: “What do we conceal?/What do we reveal?/Make that decision every day/What is wrong with me/It’s what’s wrong with you/There’s just so much I wanna say” which has received over 18,000,000 plays on Spotify to date. “Secrets” received the remix treatment by Until Dawn, Dirty Disco, Toy Armada & DJ Grind as well as Jackinsky & Eric Ibiza to help catapult the RCA Records-release to the top of the Billboard chart. Listen to the original version of this week’s #1* song, along with its official music video below.